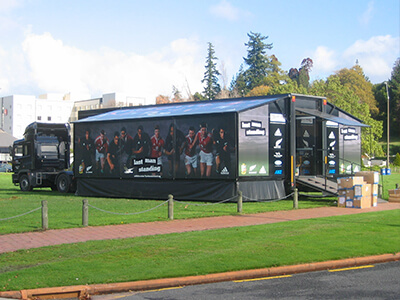 We hire promotional trailers. 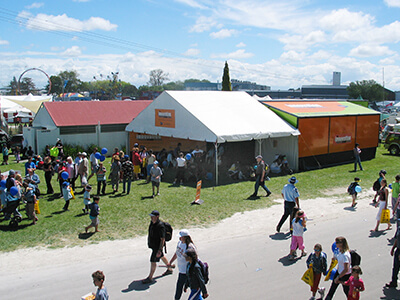 We can deliver a trailer to almost any location in New Zealand, to support your event. 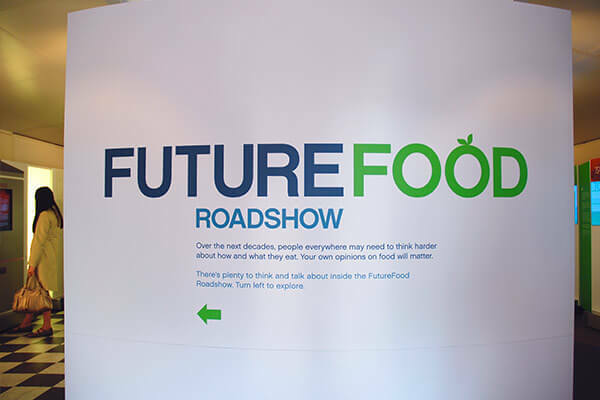 We have been delivering roadshows and events for over 26 years. 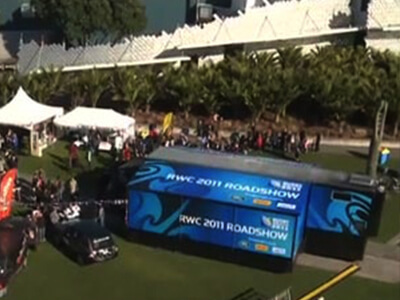 We have the expertise to help you plan a roadshow or deliver a trailer for a single event. 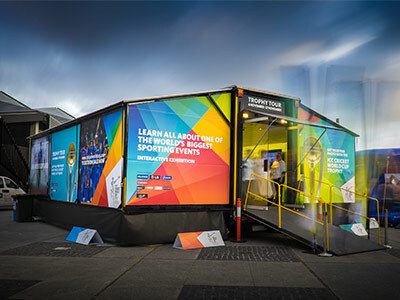 Our promotional trailers are ideal for any event where you require good protection from the weather, security and great branding space inside and out. Try our FREE online rental estimator tool, or contact us today. 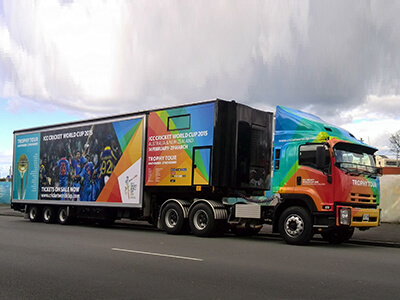 Our promotional truck trailers are big! 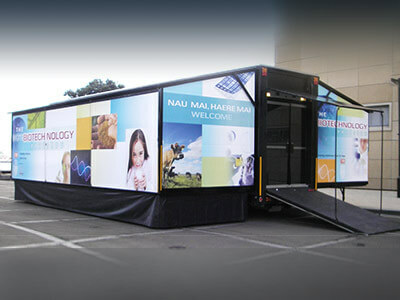 They are double expanding mobile exhibition trailers that can be hired for any duration. 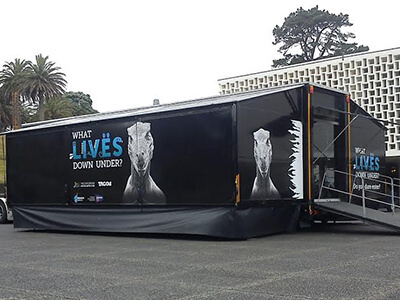 Over the years our UPV's have gone almost everywhere around New Zealand! Both entrances can be secured and have a monitored alarm. 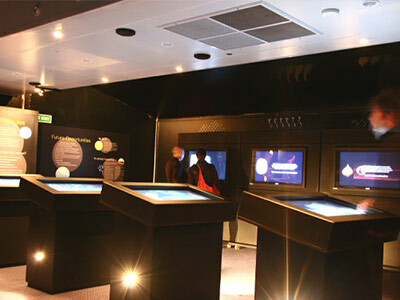 Our team have expertise in planning and delivery of tours nationally. 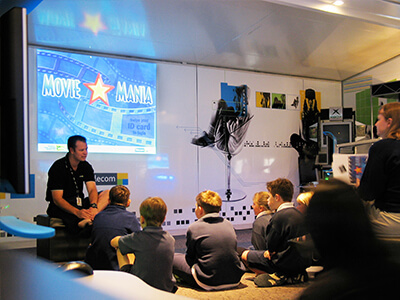 We have an extensive networks and good relationships with local councils and many potential regional service providers. 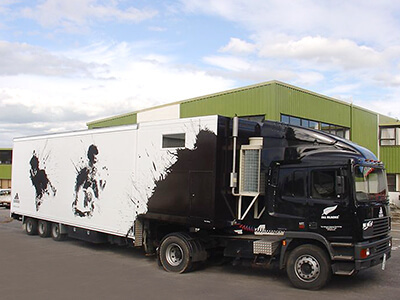 Our UPV's have been travelling to locations throughout New Zealand since 1998! Once on site, it's fast to set up! 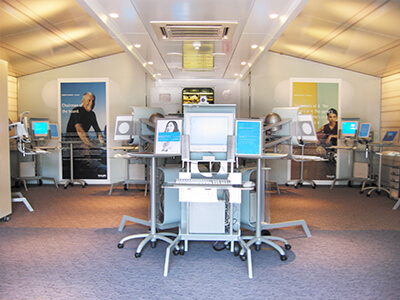 From concept to delivery we can develop and manage your project. We have a pool of staff, and expertise in employing appropriately qualified staff, to support and deliver touring programmes. 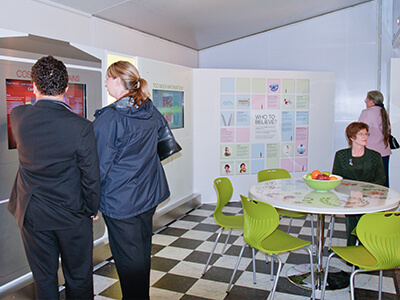 Our staff can either be front of house or provide supporting roles to the client's own staff. Here's some of our recent projects. Click image for more details. 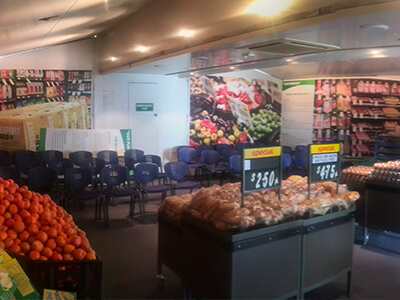 When opened out there is over 78sqm of internal space (no pillars). 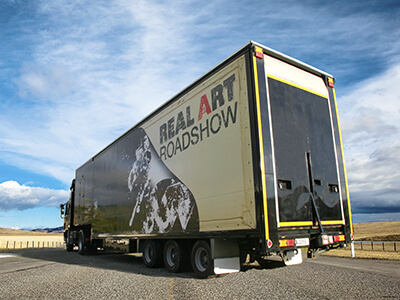 On the road they are 17m long (including tractor unit), 2.5m wide and 4.25m high. 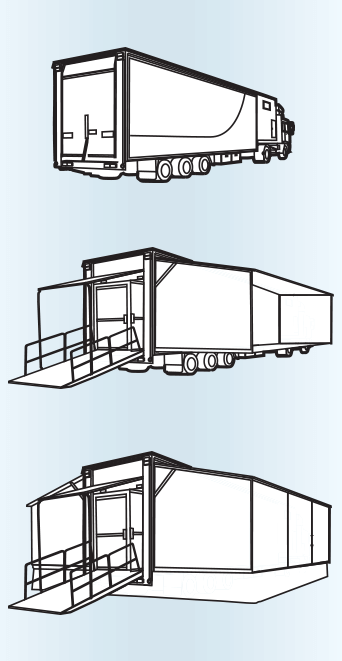 A UPV trailer can be hired from $200 + GST per day. Longer term rates apply. Relocations are additional and are dependent upon your itinerary. How long does it take to set up / pack up? Setting up or packing up takes about two hours for the driver/operator. 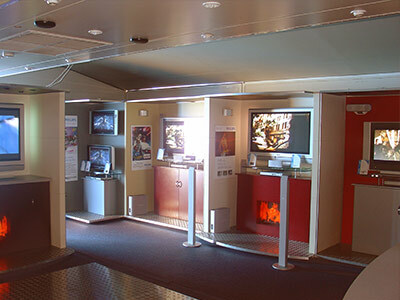 All UPV's are air-conditioned, carpeted and have lighting built in. They have a monitored security alarm, diesel generator with external supply bypass and over 30 single phase 230V power points. 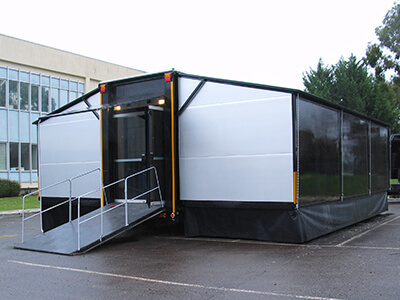 The vehicle is supplied with a driver/operator to move from site to site. Additional front-of-house staff can be provided.